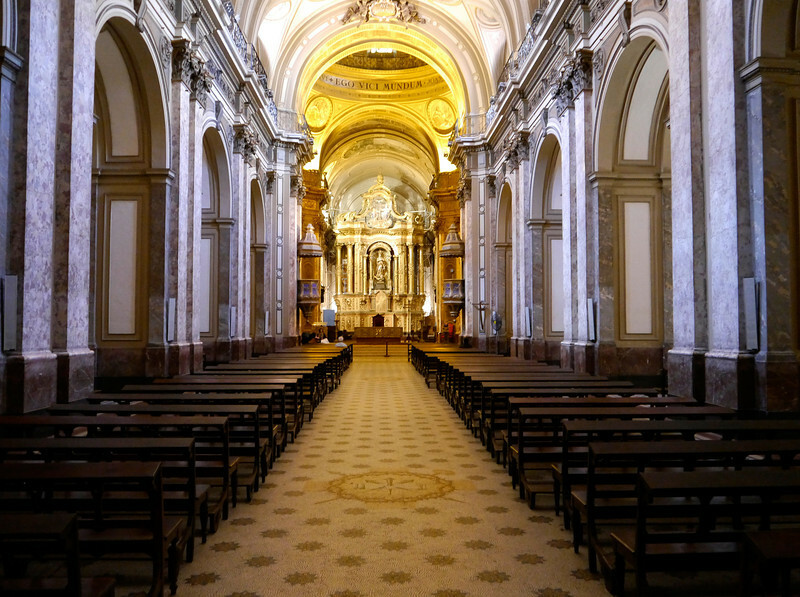 The Buenos Aires Metropolitan Cathedral (Spanish: Catedral Metropolitana de Buenos Aires) is the main Catholic church in Buenos Aires, Argentina. It is located in the city center, overlooking Plaza de Mayo, on the corner of San Martín and Rivadavia streets, in the San Nicolás neighborhood. It is the mother church of the Archdiocese of Buenos Aires. This is where Jorge Bergoglio presided over daily Masses before he became Pope Francis in March 2013.